This is a weeklong, walking trip that combines many of the best walks in Cyprus and includes routes in different altitudes, habitats, scenery, location and cultural component . Below one can see the route in detail. The walks are relatively short (on average just over eight km per day when we include the one-way boat ride on the last day). ​The difficulty level of these walks is low. The Caledonia Waterfall walk may need caution as it is a relatively steep descent and the surface may be slippery at points. On Day 1 from the airport travelers are transported to the old part of Kakopetria village where they stay for two nights. Depending on the time of arrival they could relax and explore the old part of the village and/or visit upto two Unesco World Heritage Troodos painted churches within walking distance from their accommodation. (It should be noted that the stated price doesnot include transportation to the hotel. We can arrange transportation upon request). On Day 2 travellers walk the top elevation Cyprus trail (Artemis trail). 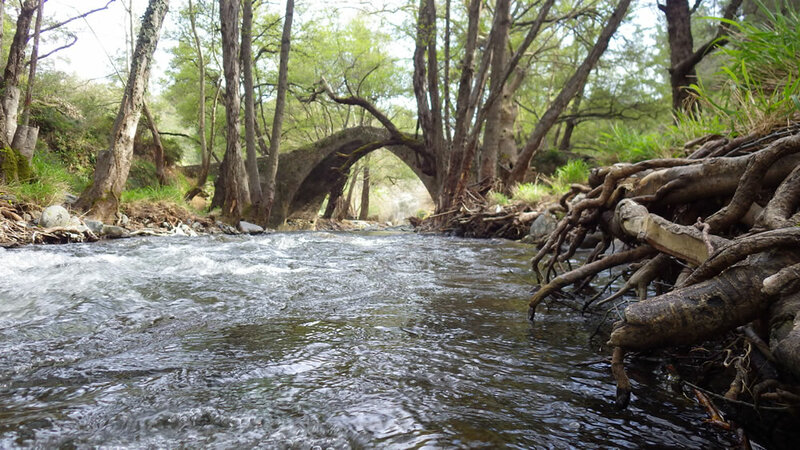 Walking on Artemis offers superb panoramic views of different parts of Cyprus. 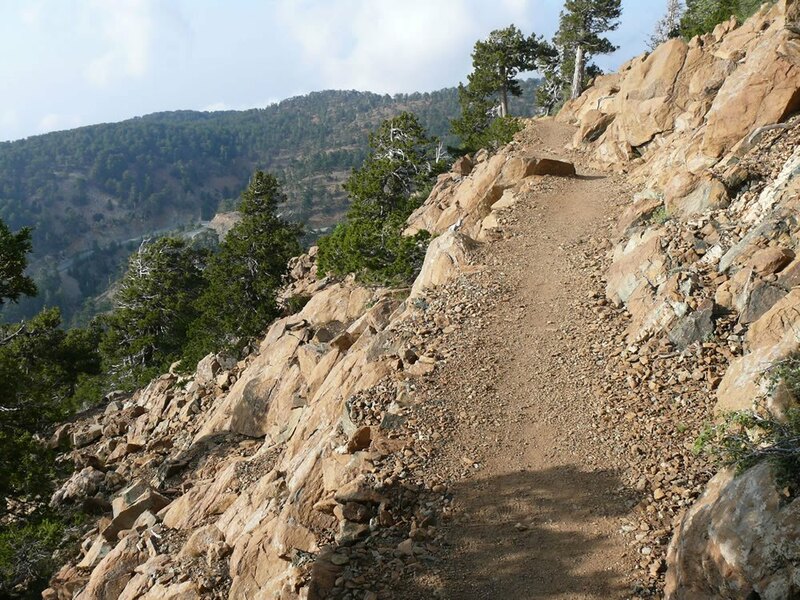 The walk combines barren rocky land, that is home of the endemic Troodos juniper with forested stretches of black pine. Walkers pass by some very old and huge trees. 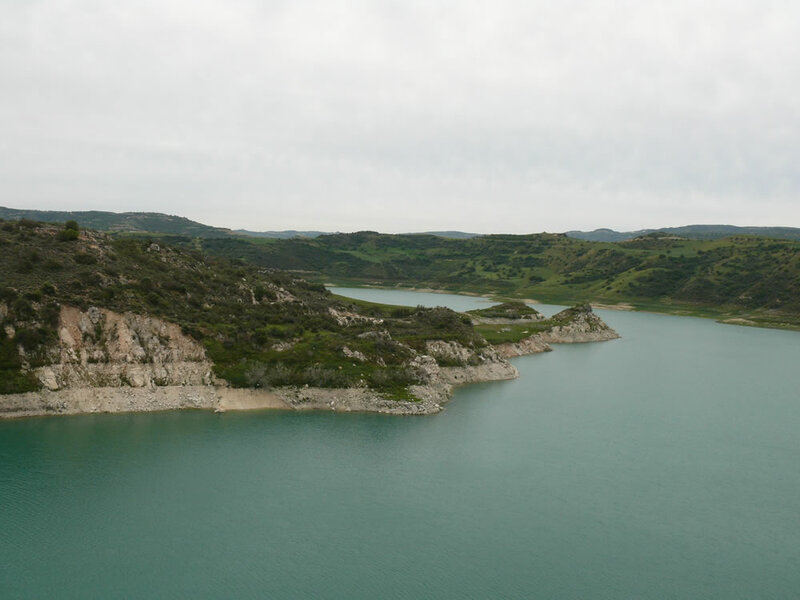 The walk exposes travellers to the unique geology of Troodos mountains. Before the walk we visit Agios Nicolaos tis Stegis (St Nicolas of the Roof) Unesco World Heritage Troodos painted church. On Day 4 we do two short walks on different parts of Troodos mountains. 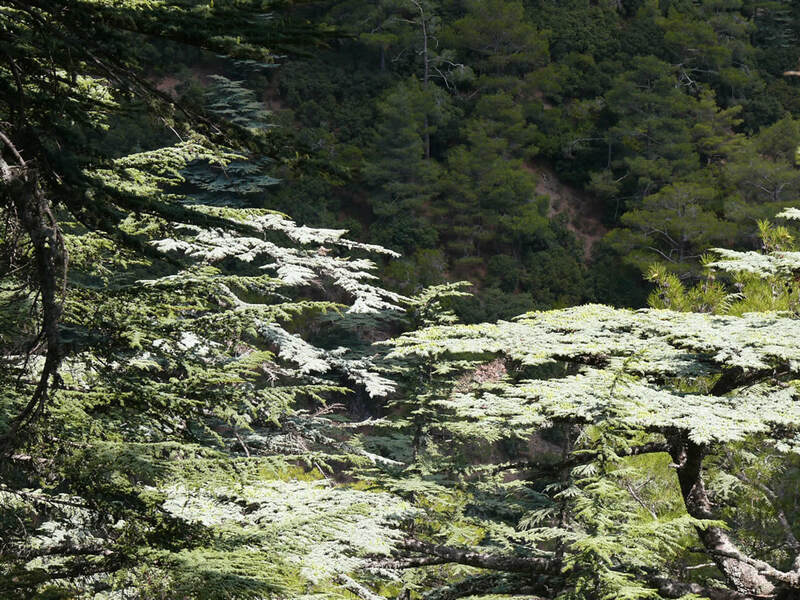 The first walk is on the Caledonia Waterfall trail (short and steep, crossing the stream many times) and subsequently we explore Cedar Valley, home to the 130,000 endemic Cyprus Cedar trees. We walk up to Tripilos peak for panoramic views. When we descend to the paved road we are transported to our hotel in Droushia where we spend the next five nights. On Day 3 we do two short walks that combine different attractions. The first walk starts in lush Platy Valley and finishes at the picture-perfect Kelephos medieval Venetian bridge. There are good possibilities for mouflon spotting in this area. The second walk starts at the stone-built village of Arsos, passes through vineyards and by the ancient church of St. Philip (and the adjacent ancient laurel tree) and finishes near historic stone-built Omodos village (home to a monastery that according to tradition was founded by St. Helen). We return to the hotel in Kakopetria after a coffee break and some free time at the village. On Day 5 travelers are transported to the picturesque stone-built village of Phiti, which they may explore (for a limited amount of time). They may get the opportunity to watch the weaving of Phithkiotika’, the renowned textiles manufactured in Phiti village. From the village we walk on the 'Oak Road' down the Evretou Valley and around the crescent-like Evretou manmade lake until we reach the paved road. We then return back to our hotel in Droushia. On Day 6 walkers are transported to the village of Inia from where the walk starts. We descend to Lara beach on foot, enjoying glorious views of the west coast of Akamas. After a break on the coast we are transported to Kathikas stone-built village for a Cyprus meal at a local restaurant, before we return to Droushia. 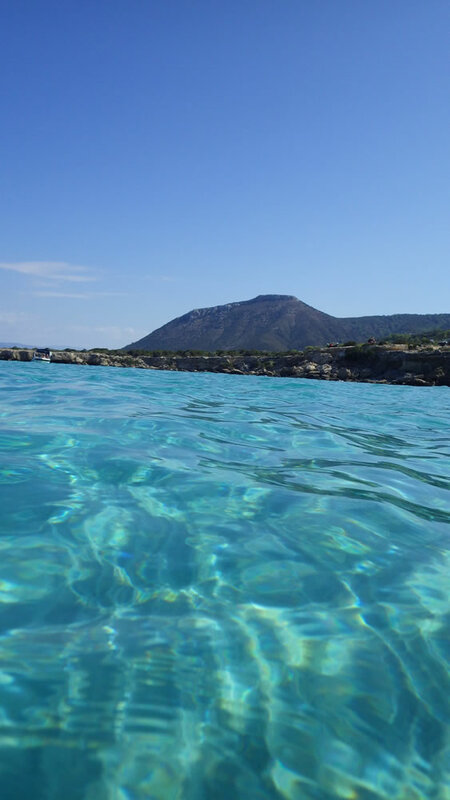 On Day 7 walkers are transported to Baths of Aphrodite Cave from where we walk west on the dirt road by the rugged coastline up to Blue Lagoon cove, which has amazing waters for swimming. After a deserved break by (or in) the sea, we take a boat for coastal exploration to the port of Latchi. We are transported to Droushia for our last dinner, a Cyprus mezze meal at a local village restaurant. On Day 8 participants depart from the hotel as our trip finishes. We can arrange transportation for those who would like us to. Transportation (All relevant transportation except to the first hotel in Kakopetria on Day 1 and from the last hotel on Day 8). Note : The package doesnot include transport on Day One to first hotel and it doenot include transport from the (last) hotel in Droushia on Day Eight. We can arrange transportation by taxi upon request. two walkers travel together on a Double occupancy basis is 850 Euro per person. a single occupancy basis is 980 Euro per person.